The BioBuF workshop: ”Future Biorefineries from raw materials to bio-products: development and analysis” attracted huge interest at the 25th European Biomass Conference and Exhibition (EUBCE 2017). This provided an opportunity to discuss the project and its results with different stakeholders. 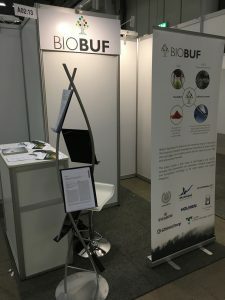 The BioBuF project consortium organised one of the workshops, entitled “Future Biorefineries from raw materials to bio-products: development and analysis” at EUBCE 2017, which took place in Stockholm from June 12th to June 15th, 2017. The EUBCE covers the entire value chain of biomass to conduct business, to network, and to present and discuss the latest developments and innovations, the vision is to educate the biomass community and to accelerate growth. 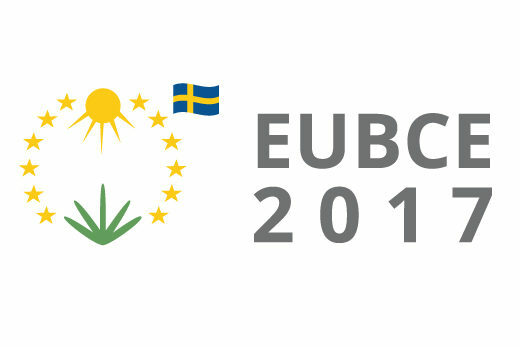 The EUBCE gathers participants from industry, academia as well as from the public sector and public authorities. The workshop “Future Biorefineries from raw materials to bio-products: development and analysis” was designed to mirror the spirit of the BioBuF project, with a blend of lectures from the project members and a number of international invited speakers. Outlooks on the development of biorefinery concepts in Europe and the USA were given by Gerd Unkelbach (Fraunhofer Center for Chemical-Biotechnological Process) and Thomas Foust (NREL – Director of Bioenergy Center), respectively. The event had the purpose of presenting contributions by researchers involved in biorefinery development projects where not only the aspects of technology development and laboratory research are involved, but also the larger perspective is taken into consideration. Process and environmental systems analysis have to go hand in hand with the development of new technologies for biomass conversion to fuels and chemicals in order to fulfill the requirements for economic, social and environmental sustainability. The program of the event spanned the entire day of Thursday, June 15th (see also http://www.etaflorence.it/proceedings). The result of an interesting program at the heart of the European biomass exploitation community was a full room: several dozen attendants not only crowded the workshop venue, but took part to an interesting discussion after each presentation and at the end of the event. The BioBuF consortium was also present with a booth at the exhibition area. The booth displayed posters with the latest BioBuF results, advertised available master thesis projects and possible collaborations. The booth was continuously visited by a stream of attendants. Organising this event has been very rewarding because not only gave us the chance to disseminate the BioBuF concept outside our closest network, but it allowed us to gauge the interest of the community on our biorefinery concept, proving that there is a great attention and curiosity for it.